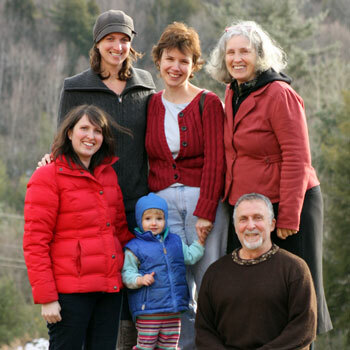 Badger is a small, family-owned, family-run, and family-friendly company nestled in the woods of Gilsum, New Hampshire. We blend the finest organic plant extracts, exotic oils, beeswax, and minerals to make the safest, most effective products possible to soothe, heal, protect and otherwise treat your body. We work hard, have fun, and incorporate honesty, respect, and integrity into everything we do. Read our Mission and Principles. The company was started by Bill Whyte in 1995 when, as a carpenter working in the cold New Hampshire winters, he created an amazing balm that helped his cracked hands and he wanted to share it with the world. Badger Bill ran the company (as CEO) along with his wife Katie Schwerin (as COO) and their two daughters Rebecca Hamilton and Emily Schwerin-Whyte and it grew to over 100 products and over 80 employees. In 2018 Bill passed the leadership of the company on to Rebecca and Emily making them both CEOs or Collaborative Executive Officers. Read the amazing History of Badger. We only use ingredients that fit our rigorous natural standards for healthy agriculture, minimal processing, sustainable supply chain, and health giving properties. For example, the organic extra virgin olive oil we use in most of our products comes from a single family estate in southern Spain and it is the best olive oil we&apos;ve ever tasted. And, the organic rose essential oil we use in all of our rose products is steam distilled in Bulgaria from rose petals picked the very same day. It takes 5 tons of rose petals to make one liter of this precious essential oil. We combine years of tradition and research with beautiful artwork and lots of love to create products naturally rich in powerful antioxidants and vitamins for healthier people and a healthier planet. 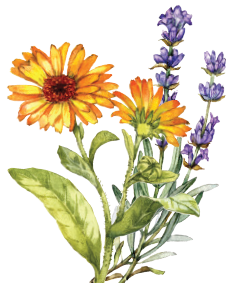 Read more about our Ingredients and Growers or our Philosophy of Formulation. A team of friendly &apos;Badgers&apos; formulates, manufactures, and ships our products around the country and the world. We work hard to maintain a healthy community-minded business with ethical and charitable social principles. Call and ask any Badger. You&apos;ll hear about our daily organic lunches served free to all employees, our generous benefits package, and our charitable giving practices. 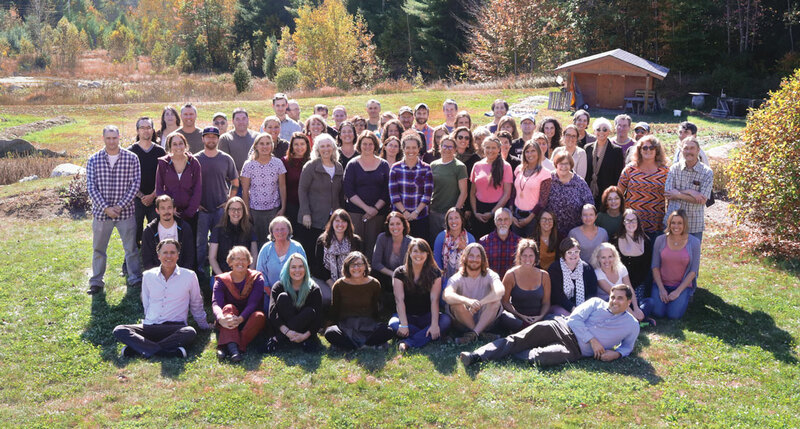 Read more about our People at Badger, Social Initiatives, our Babies at Work Program, Badger&apos;s Calendula Garden Child Care, and Badger is a B-Corp. These are just a few of the things that make Badger unique.